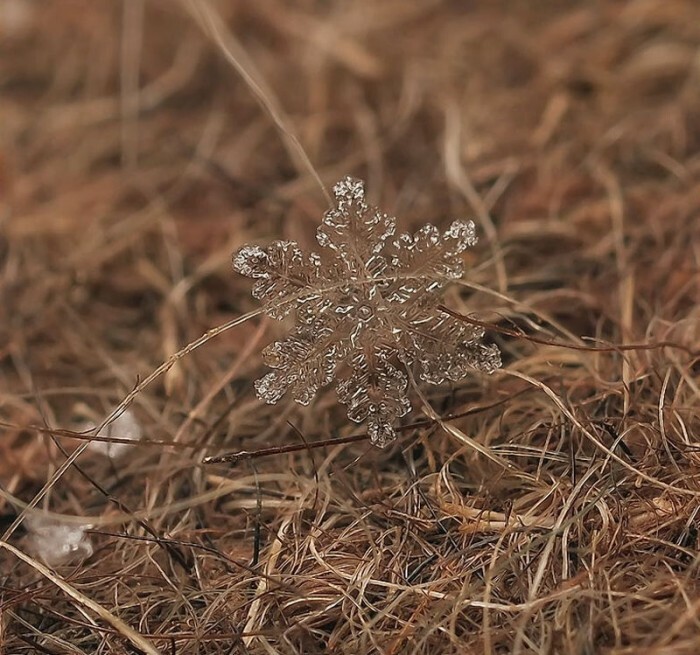 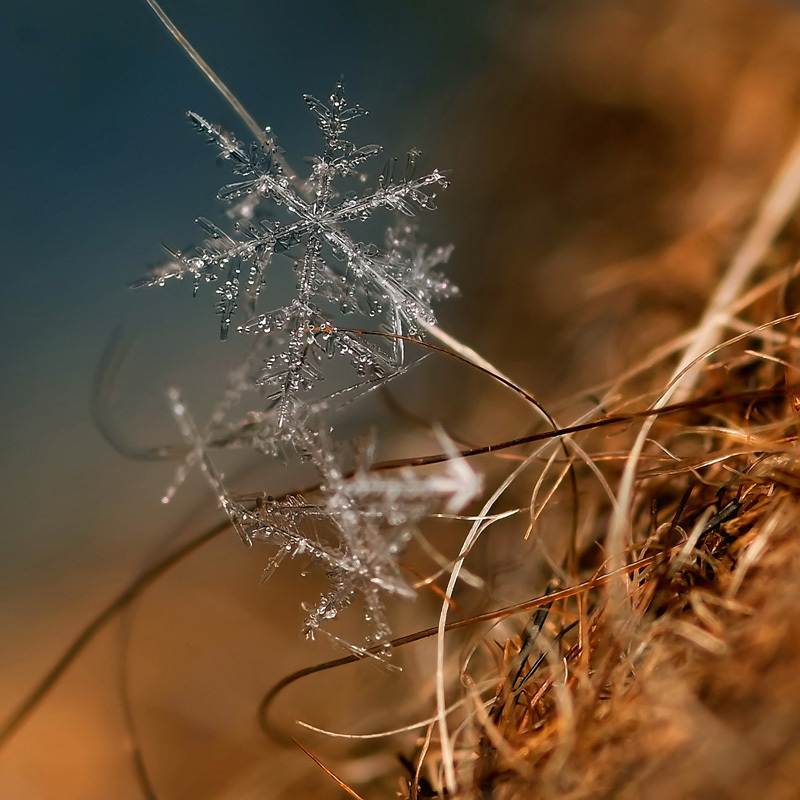 Russian photographer Andrew Osokin captures the fragile beauty of snowflakes and ice crystals in the brief moments before they melt away. 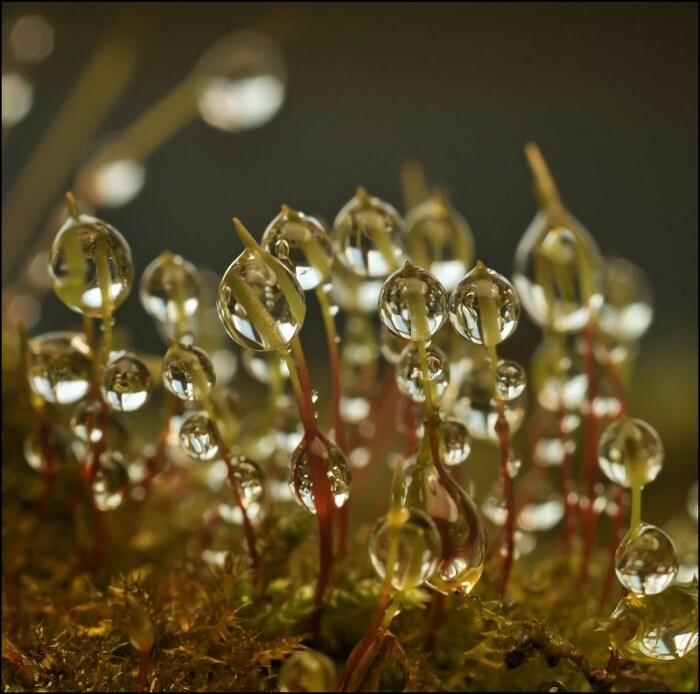 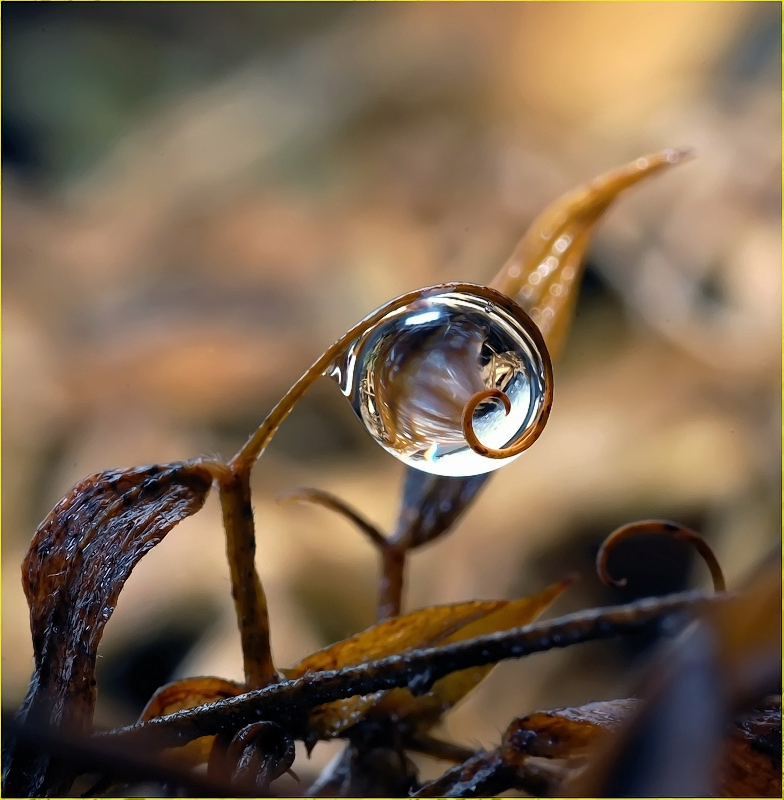 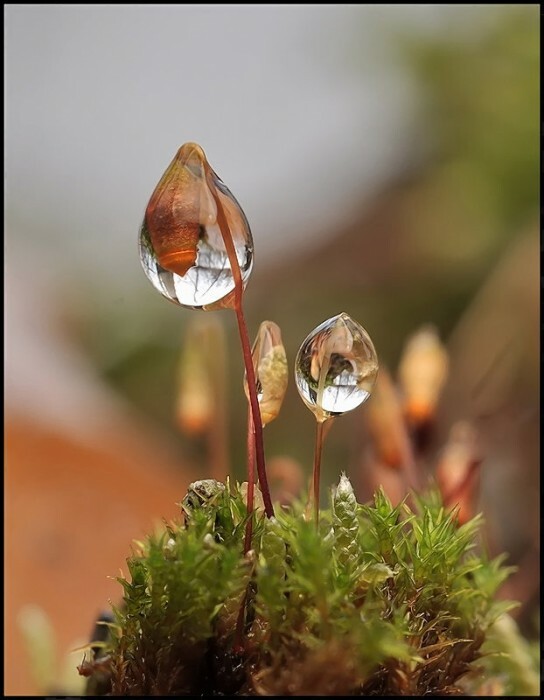 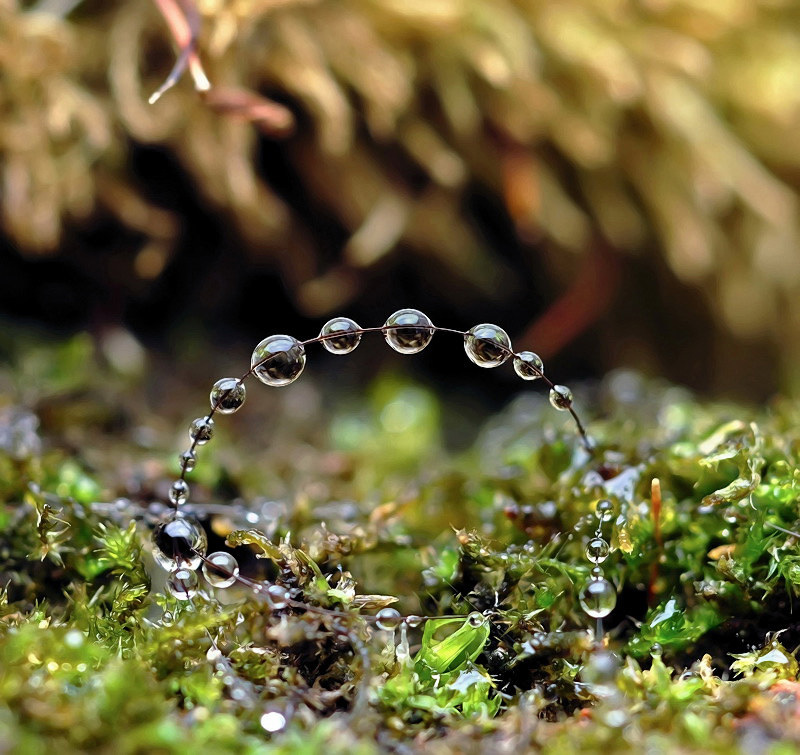 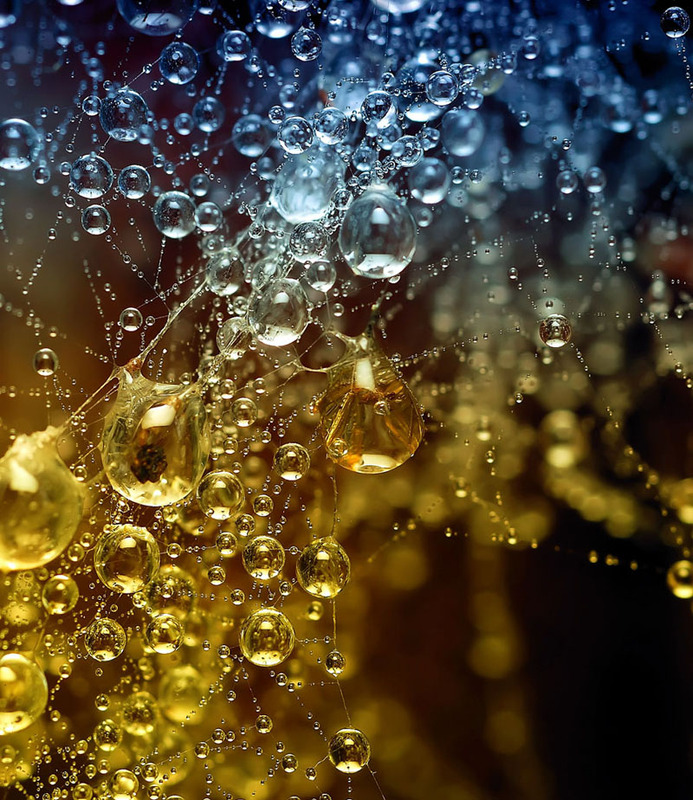 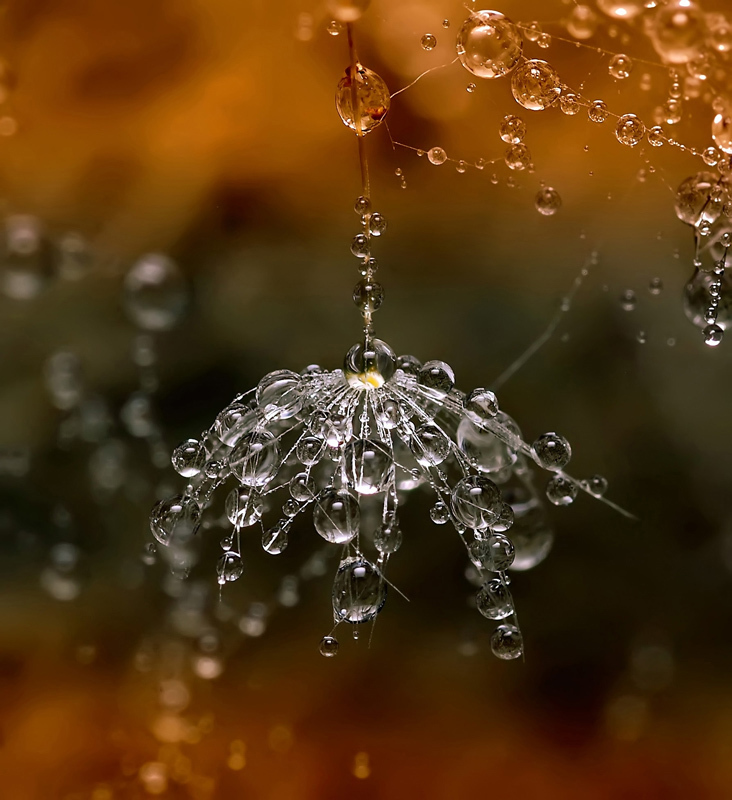 Using macro lenses, he reveals the exquisite world of not only these minute complex forms but also those of water droplets and insects in all their glory. 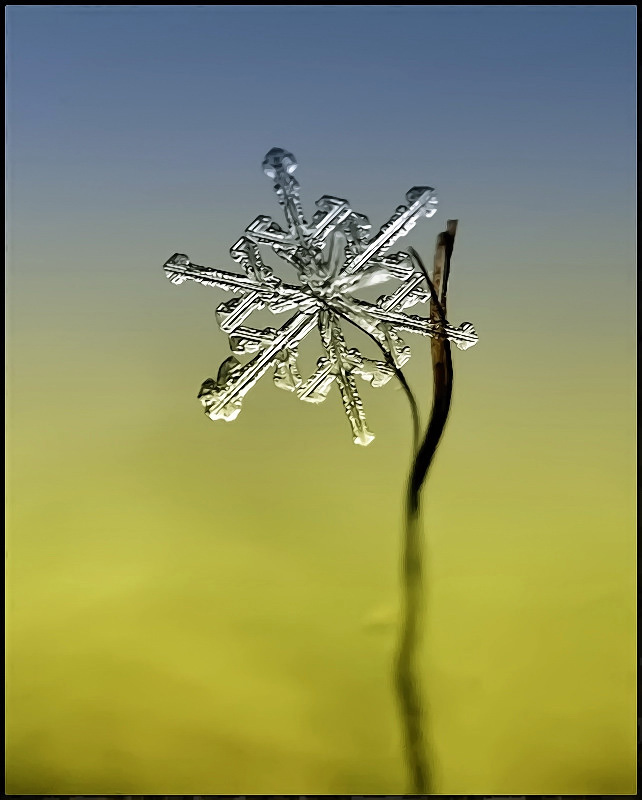 To view more of his beautiful images, see his website. 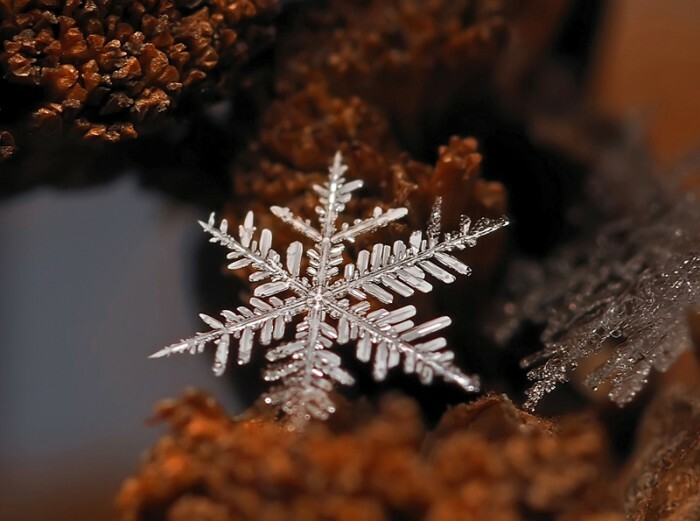 Snowflakes come in myriad forms—stellar plates, sectored plates, double plates, radiating dendrites, stellar dendrites, fernlike stellar dendrites as well as hollow columns, triangular crystals, split plates and stars, needles, bullet rosettes, and rimed crystals. 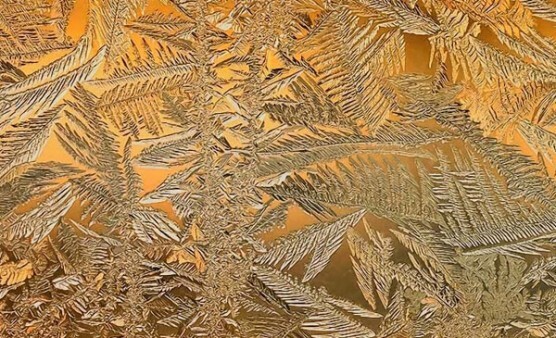 Water vapor condenses inside of clouds and forms snow crystals. 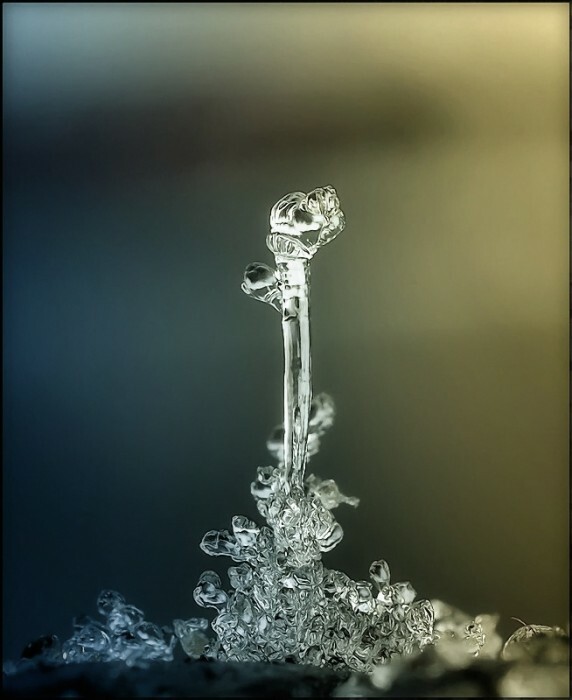 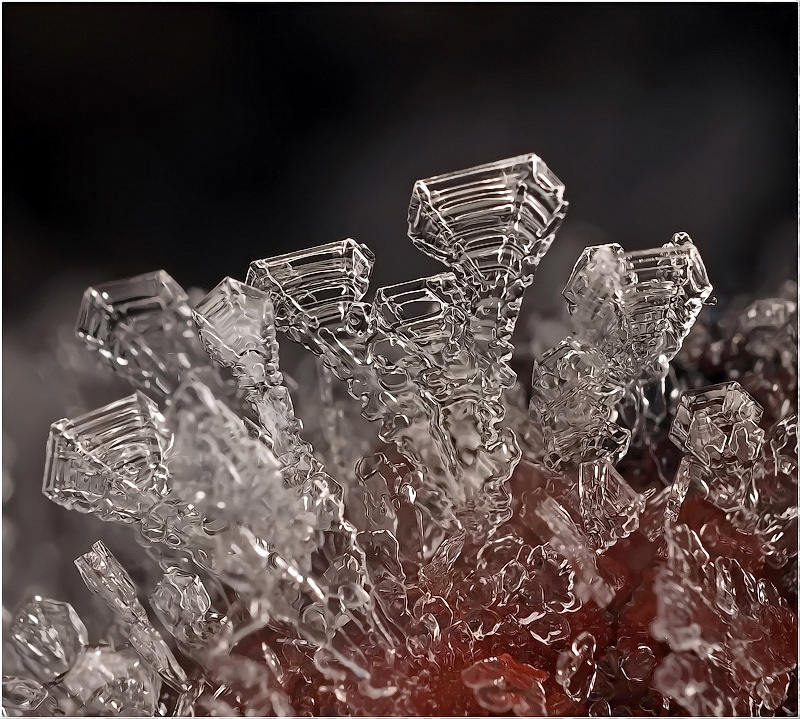 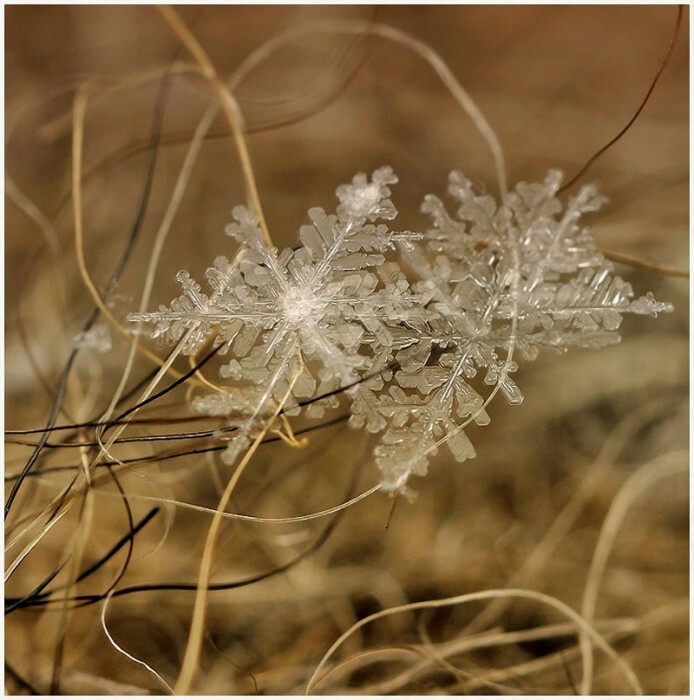 The shapes develop as the water vapor molecules freeze attaching to a seed crystal, which in turn adheres to a particle of dust. 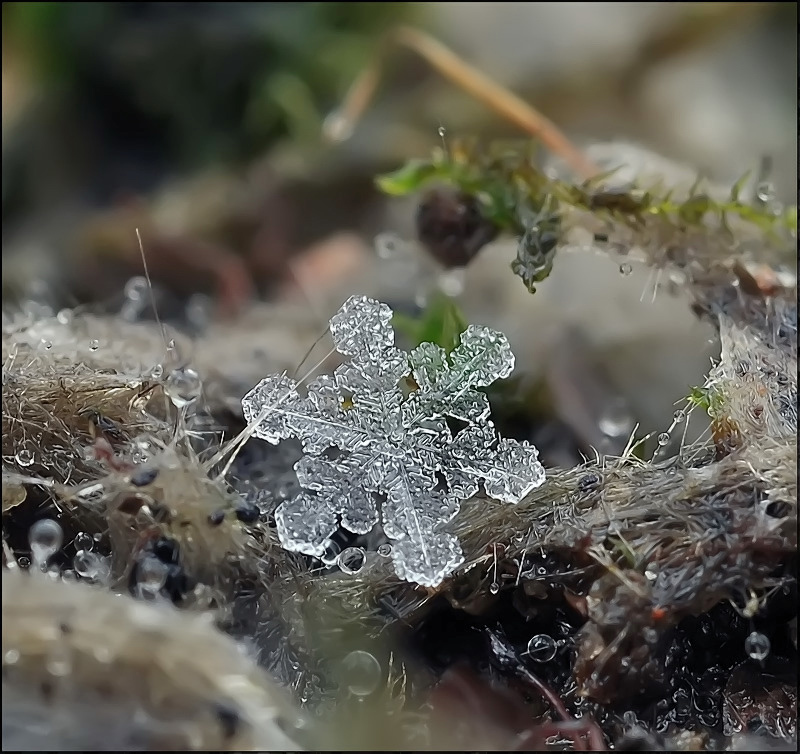 As the seed crystal moves through the clouds, more water vapor freezes to it. 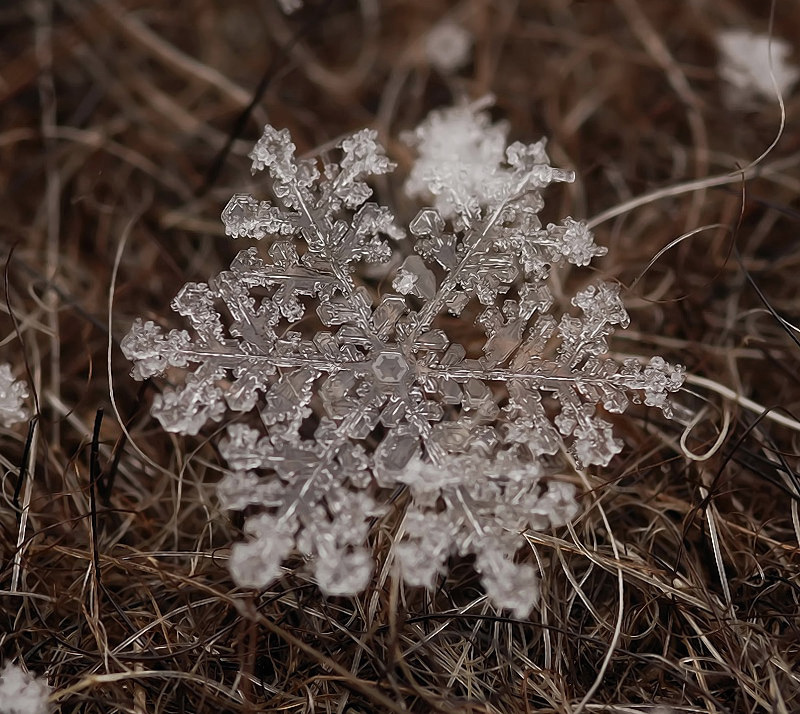 The shapes of snowflakes comes from the structure of the water molecule, made of one oxygen atom and two hydrogen atoms. 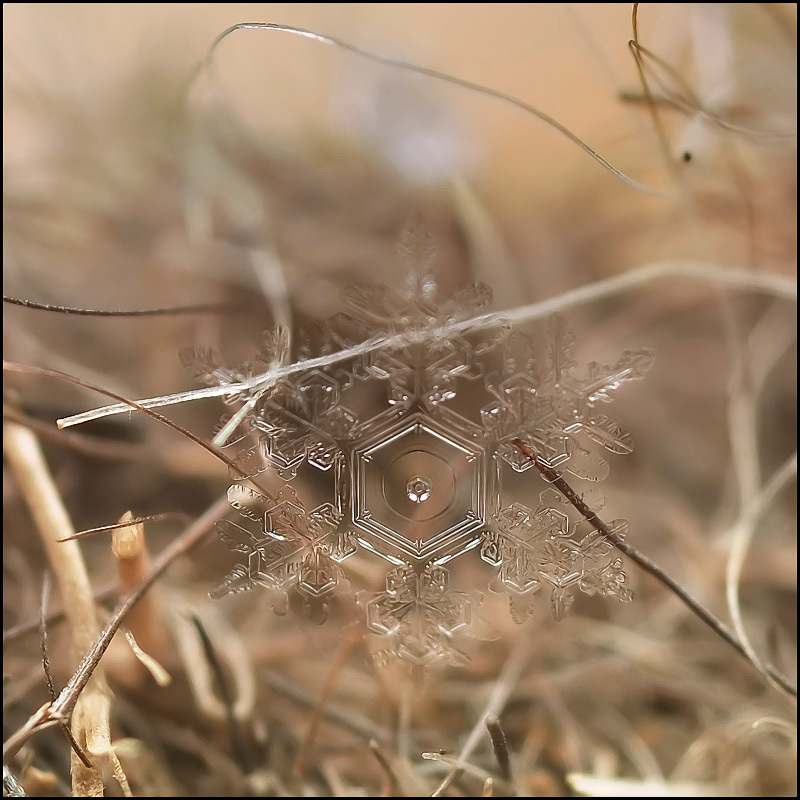 When water freezes, the molecules link together forming hexagons, the basic shape of a snowflake. 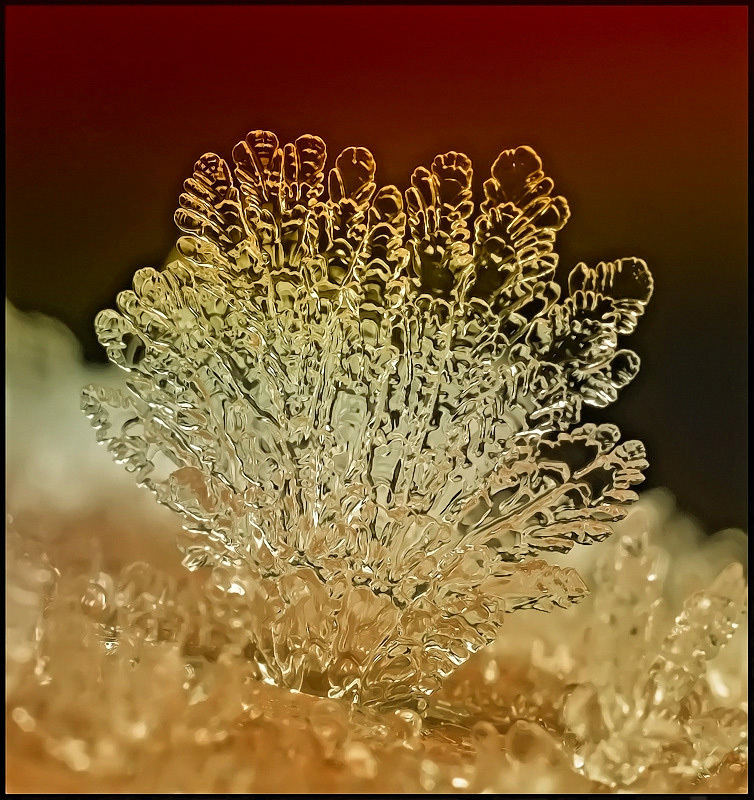 However, temperature and humidity influence their shapes, the higher the humidity the more complex the form. 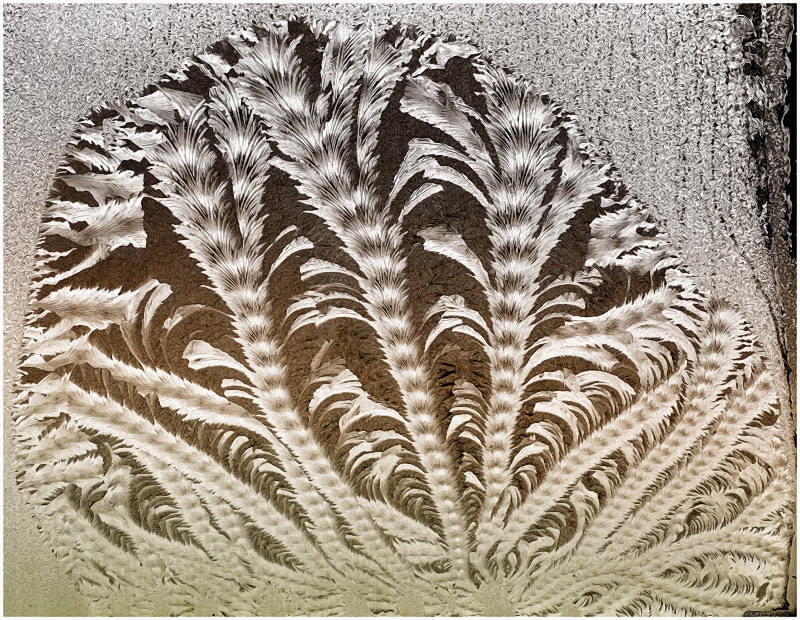 The ornate patterns of frost on windows form when the temperature outside the window is below freezing and that inside is warmer and moister. 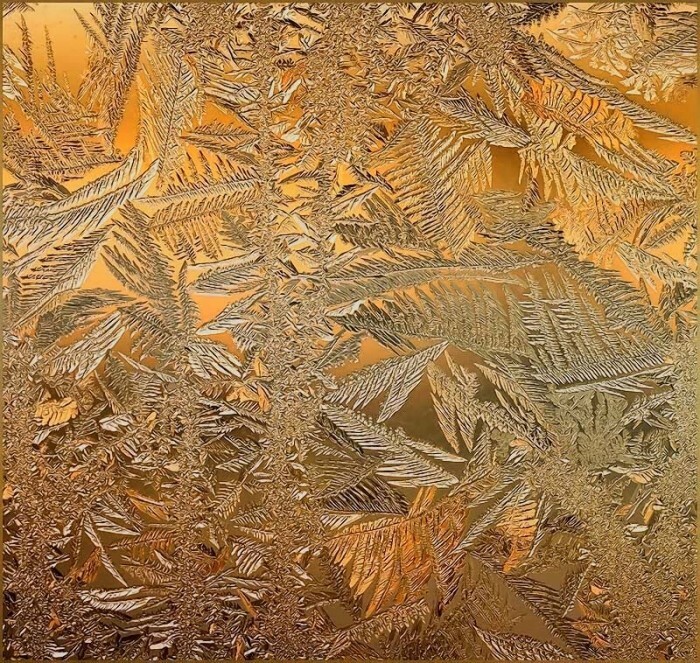 Frost is more common on single paned glass as it maintains a cooler temperature.